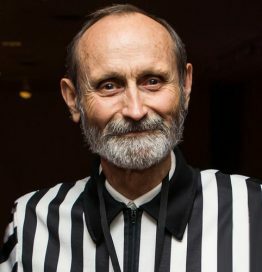 Since 1981, Twin Galaxies founder Walter Day has played an integral part in shaping the landscape for classic and modern-day gaming. What began as a storefront arcade in Ottumwa, Iowa, Twin Galaxies has morphed into the gold-standard for competitive gaming record keeping! Walter has been featured in multiple film, television, and print projects including King of Kong: A Fistful of Quarters, Chasing Ghosts: Beyond the Arcade, and as assistant editor for video games in the Guinness Book of World Records. Since his retirement from the video game industry in 2010, Walter helped to establish the International Video Game Hall of Fame and continues to develop Twin Galaxies trading cards to honor achievements in gaming.